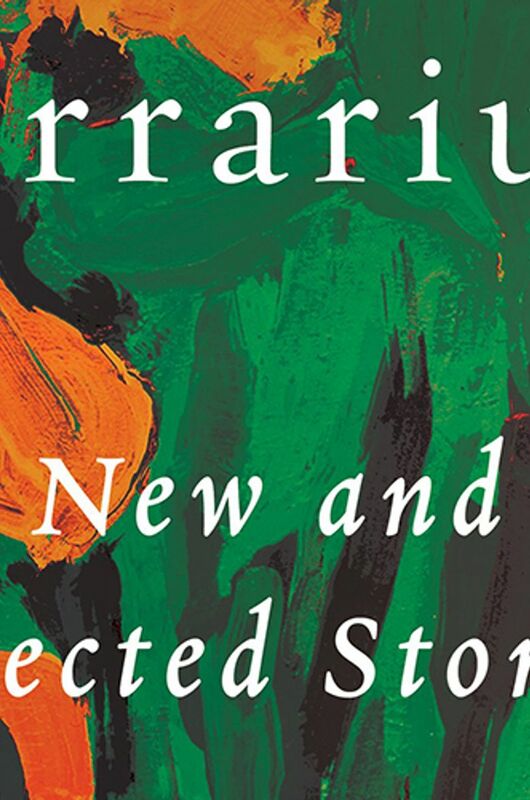 The author's compendium of "New and Selected Stories," notable for their brevity, deal with the most incomprehensible parts of our being. She will appear Aug. 7 at Elliott Bay Book Co. In a 2012 interview, Seattle writer Valerie Trueblood explained why she prefers to write short stories: In their acceptance of the unsolved, she said, they often seem more vast than the novel. To put it another way, those door stoppers you lug to the beach fill in all the blanks, leaving little to the imagination. In contrast, the short story glimmers with the possibilities of what’s left unsaid. A debatable proposition, that. But hold the thought as you dive into “Terrarium: New and Selected Stories,” Trueblood’s latest work, which combines selections from her past three collections with new pieces most notable for their brevity — often just a few paragraphs. Judging from the direction she’s going, soon everything could be left unsaid, and both writer and critic will be out of a job. In the meantime, there’s more to Trueblood than her word count. Even her short-short stories — mere fragments of a feeling or memory, not satisfying in my book — underline the most distinctive quality of her work. Even the longest stories go light on plot and read more like meditations that flow downstream, carrying with them the remembrance of things past, the mysterious alchemy of relationships and the elusive nature of love. Take “The Stabbed Boy,” for example. The tale starts with recollection of the reassuring moments experienced in what we assume from the title was a troubled childhood. Mrs. Rao, the teacher at Vacation Bible School, offers the boy a reassuring maternal presence amid chaos, pouring him juice from her thermos and combing his hair. These small gestures are embedded in his psyche of the grown man that he becomes, defining the course of his life. Prompted by this slim piece of fiction, you might reflect on the acquaintances or even strangers whose actions altered your own direction. And by doing so, you address the vastness of the short story as Trueblood sees it. Subject wise, the writer likes to poke at the spousal bond to see if it’s holding. Often, it does not. “Love, love. The same word for different things,” muses the narrator of one story, “Phantom Father.” There’s domestic love, decent and reliable, and then there’s the inexplicable attractions and unsanctioned passions that pulse below the surface of peoples’ lives. In “Beloved, You Looked into Space,” a daughter tries to make sense of her father’s sudden decision to remarry. All she knows about the bride-to-be is that she “took an ax to a bear.” A little mythologizing comes in handy when there’s a sudden and unexpected addition to the family circle. The most haunting love story is the one that never happens. In “Choice in Dreams,” a married woman falls for the married man next-door. He dies, unaware of her feelings for him. The end. Trueblood addresses motherhood less often, but when she does, the heartache of loss seems a frequent match. In “Hero,” a mother in search of her son locates the dog who never left his side instead. Not a good omen. In total, “Terrarium” is a compendium of thoughtful and often insightful pieces that deal with the most incomprehensible parts of our being. Ellen Emry Heltzel: eheltzel@hotmail.com. Ellen Emry Heltzel is a Portland writer and book critic.